Revelation Bowl from Telluride Ski Resort on Vimeo. Telluride, Colorado has been blessed with an ample amount (137″) of white, fluffy snow so far this season. The mountain is skiing great with 9″ of fresh powder in the last 3 days and a nice looking front moving in tomorrow through Friday that could potentially drop up to 2 feet according to on the snow. All 17 lifts are running and 80% of the ski trails are open at this time. Enriching your Telluride ski experience are Bon Vivant and Alpino Vino, exciting on-mountain dining with a view to be enjoyed with family & friends. And there’s still plenty to do after the sun sets on the mountain. Some upcoming events include JJ Grey & Mofro with The Commonheart, Chris Robinson Brotherhood, Telluride Comedy Festival, Stephen Marley, & Gay Ski Week just to name a few. If you haven’t booked a trip to Telluride yet this winter, what are you waiting for? 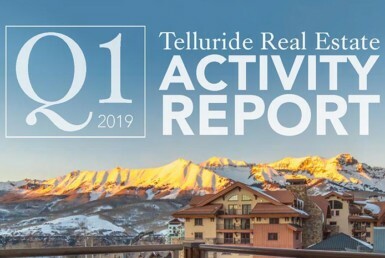 See how to get here and check out the amazing ski homes and condos currently for sale in Telluride.